Keeping in mind, this is a young man still finding his way through life and trying to unlock the secrets of his powers, so he makes a few mistakes along the way…and some of them are potentially life altering. despite this, our hero is still hard at work protecting humanity and keeping the creatures of the underworld from harming others. From enraged baby spirits to Occultist-eating demons, this poor college student has his hands full. Even his new mentor has a few secrets of his own. But the main event of this comic run is the trio of witches and warlocks that seem to be able to move through the ethereal plane at will. But as with many things, not everyone is who the appear to be. Mike Richardson and Tim Seeley are together here. They have penned a wonderful story that reaches beyond the average superhero comic and stays interesting and action-packed the whole way through. Mike Norton‘s art is bold and distinct, lending itself to the story rather than trying to outshine it. This comic is the perfect marriage of the visual and the literary. 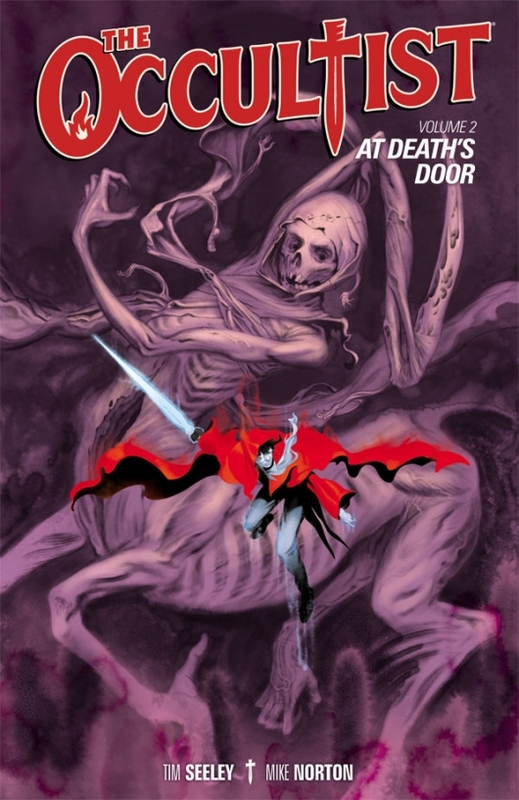 Much better that volume 1, there is 1 item that makes me look forward to possibly more Occultist: They touch on the other supernatural "superheroes" in the Dark Horse universe. I would love to see an Occultist/Ghost crossover.